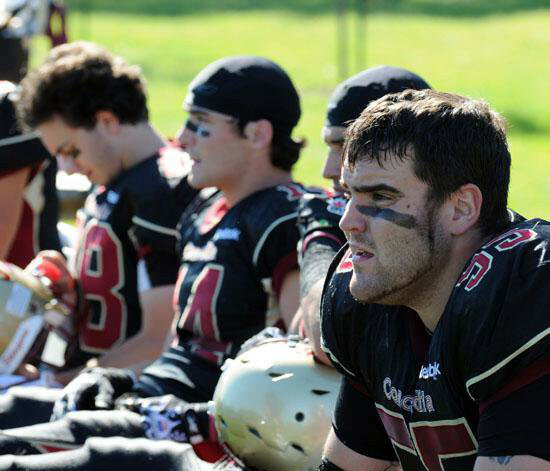 Like many young Canadians, ex-Concordia Stinger Anthony Barrette’s first passion was hockey. But a chance meeting helped spur his move from the ice rink to the gridiron. The switch is now paying dividends for Barrette, as he just signed his first professional contract with the Montreal Alouettes of the Canadian Football League. 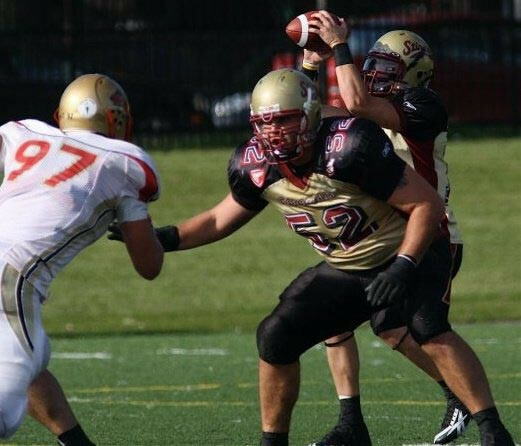 After spending five years anchoring the left side of the Stingers’ offensive line, Barrette was drafted 16th overall in the second round during the 2011 Canadian Football League draft. The history major started out as a defensive lineman, but seamlessly made the switch to offensive line in his second year at Vanier College. He was skeptical at first, but it turned out to be one of the best decisions he’s ever made. Despite his obvious talent, going pro was never really in the cards—until he was told it was impossible. His determination culminated in his name getting called by his hometown team on that fateful draft day in May of 2011. Barrette has had a strong supporting cast around him throughout his football career. He credits his parents as being the two most important people in his life, and also singled out his uncle, Peter Folko, as being his role model. Folko played in the National Hockey League with the Vancouver Canucks, but his career was cut short by a knee injury. His football role model, Marwan Hage, offensive lineman for the Hamilton Tiger-Cats was key in shaping Barrette’s game. Barrette also credits Bryan Chiu, former Alouettes offensive lineman and current assistant offensive coordinator of the Stingers, for not only helping him improve as a football player, but also preparing him for life as a professional athlete. Chiu had nothing but good things to say about Barrette, and is confident that he will be a good CFL player for years to come. His unwavering determination and will to succeed is what got Barrette to this point, and he knows it’s what will allow him to succeed in the CFL.